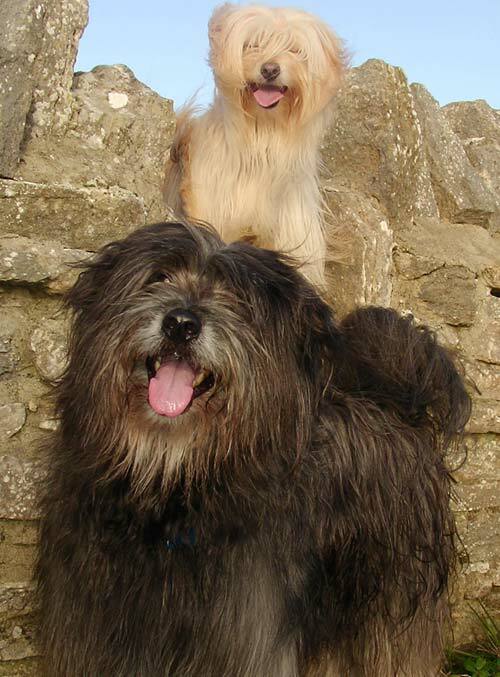 Dibba, shown here in the foreground in front of his friend Ted, is Cloud Appreciation Society Member 4599. He is a Pyrrenean Sheepdog, and currently our only non-human member. Dibba lives in London, UK, and was enrolled by his owner, Nick Collis Bird, Member 3746, who tells us that he spends most early mornings and evenings out on the fire escape looking upwards. We are told that Ted wants to join too, and is saving up for the membership fee. P.S. Ted is now a member and is missing him dreadfully. Ted never did look up!! Dibba was a very gentle dog and he use to get a slice of ham at the weekends as a special treat from his cat in-law Holly. I wonder if they serve such treats in doggy heaven. ?